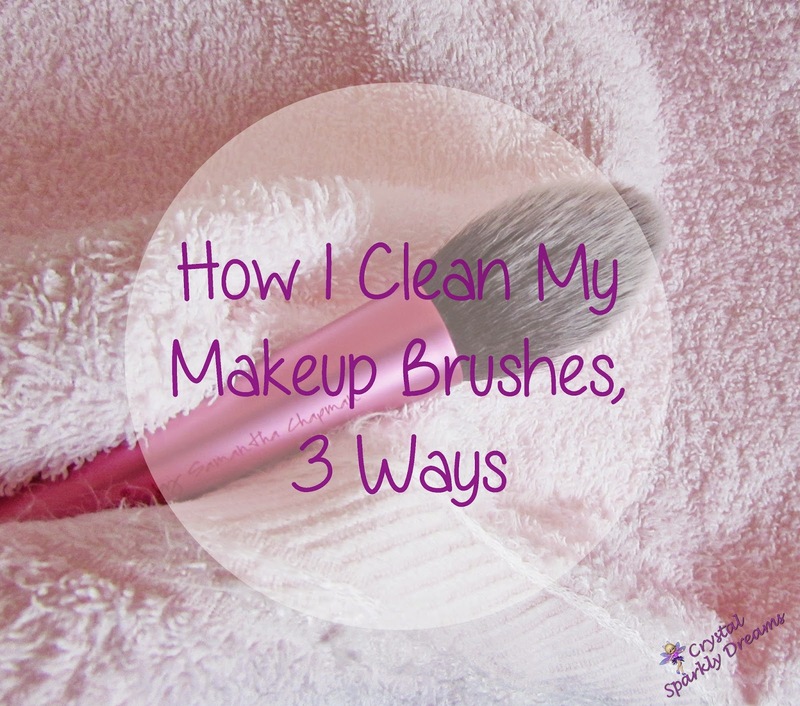 Hi everyone, for this week's post I thought I'd talk to you through my 3 favourite ways of cleaning my makeup brushes. 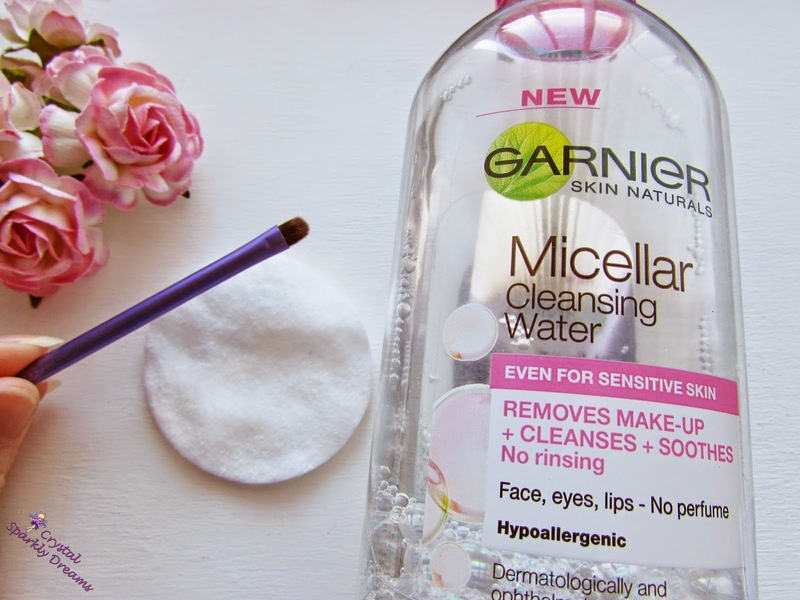 The first is the main 'big clean' one that I do. 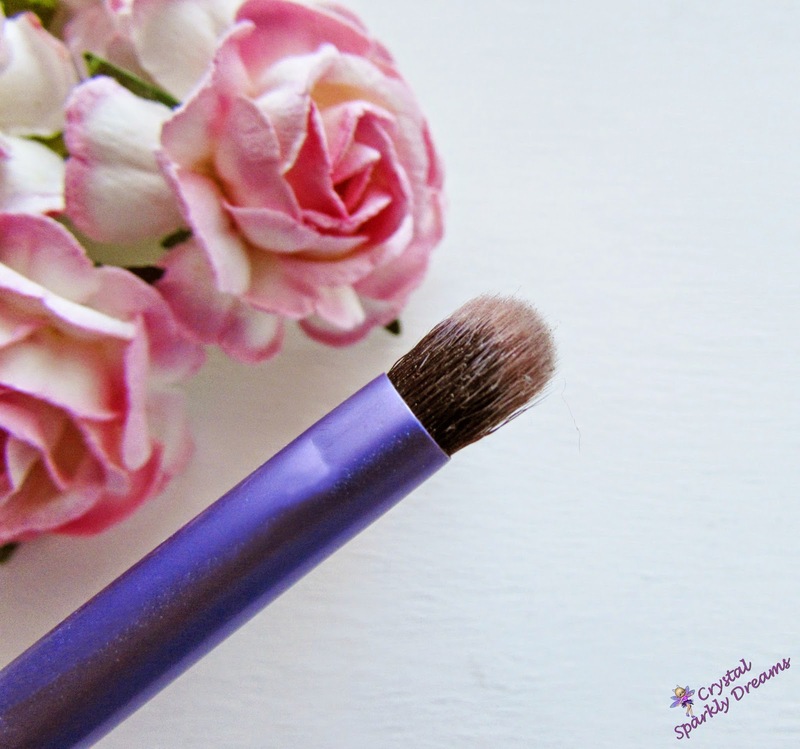 Now since I only wear makeup and use my brushes about once a week, I tend to only do this method around every 3-4 weeks. 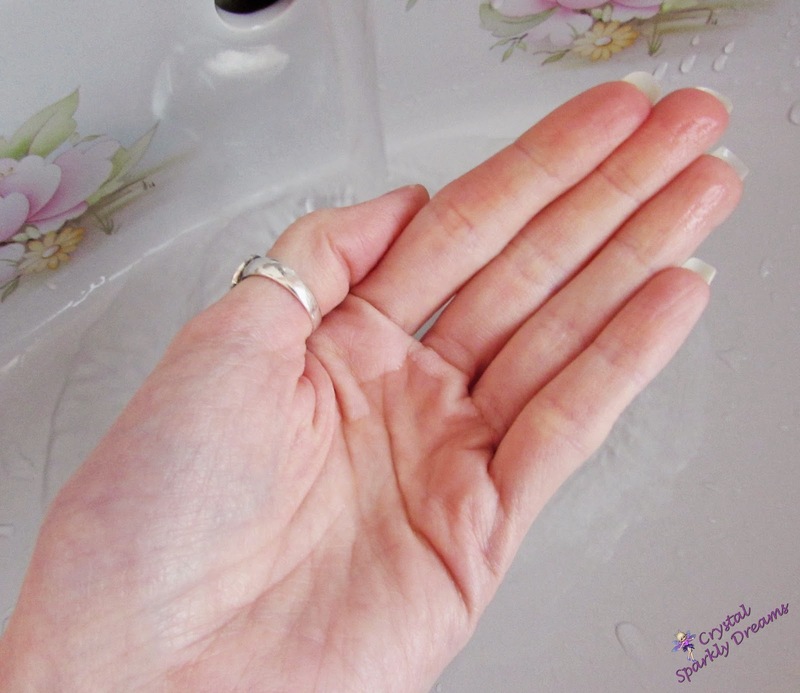 Firstly I take a little bit of shampoo in my hand and mix with a bit of warm water. 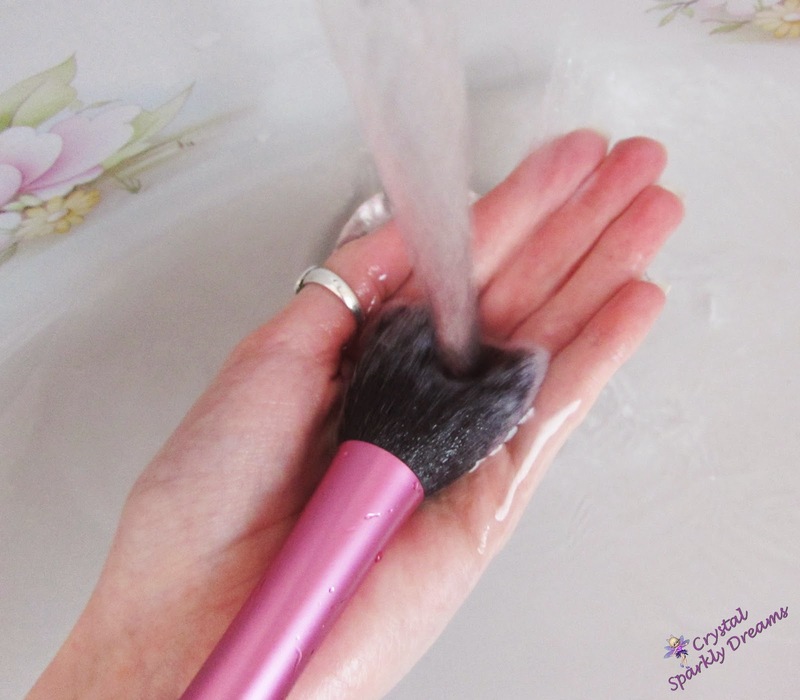 Then I let the warm water run over the brush to rinse it thoroughly, I also rub the ends of the bristles with my fingers under the water, lightly squeezing through to the tips to help get any shampoo out. 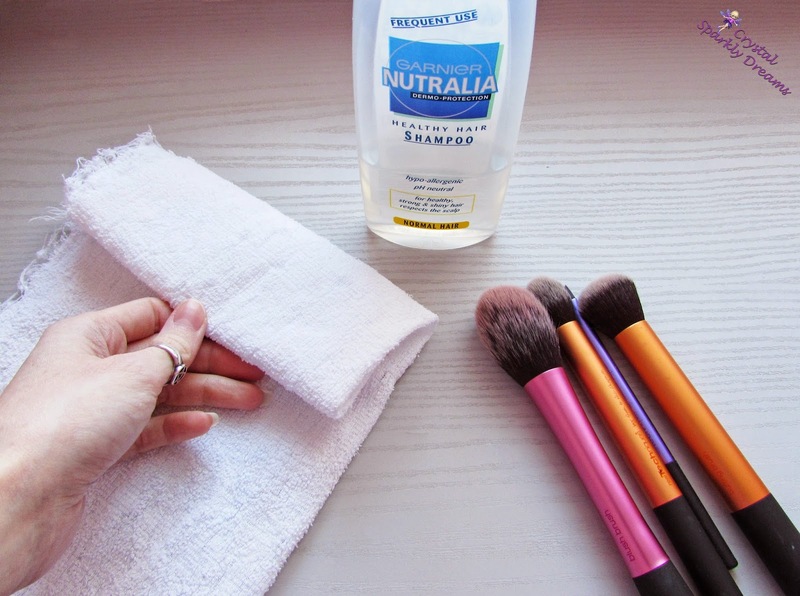 Finally after gently squeezing out the water, I dab the brush on a clean dry towel and dry them as best I can. 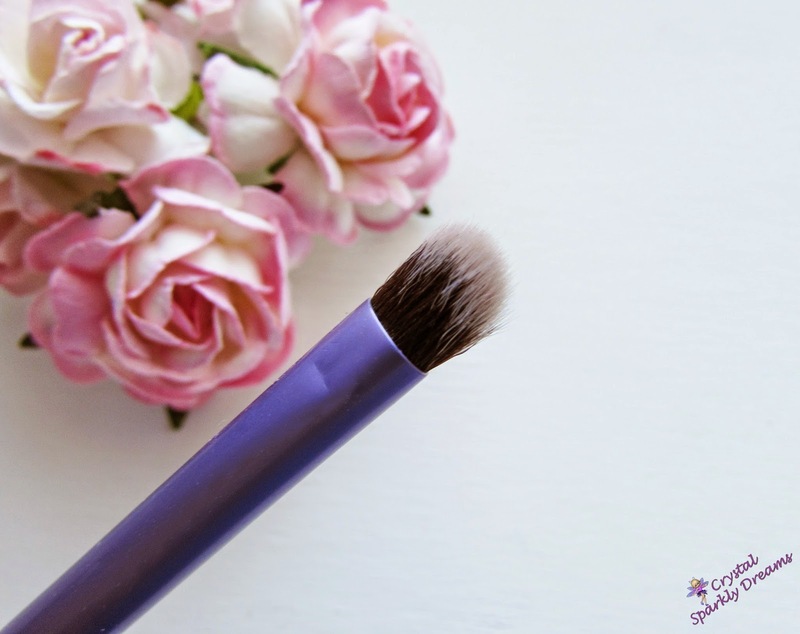 Usually the brushes take at least 24 hours, sometimes longer to dry (hence why I don't do them every week!) So what I normally do is take a smaller old towel, roll one end. 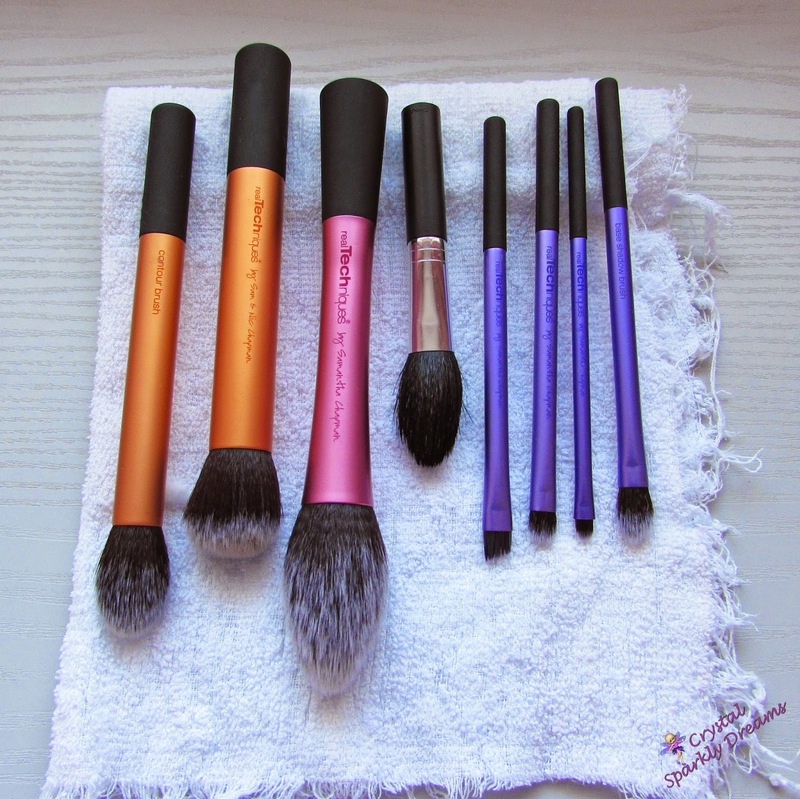 . .
. . .and then lay my brushes so the handles are up on the roll, this helps air dry them and it helps stop any water getting in the handles at the same time, because if that happens it can loosen the bristles over time, not so great! 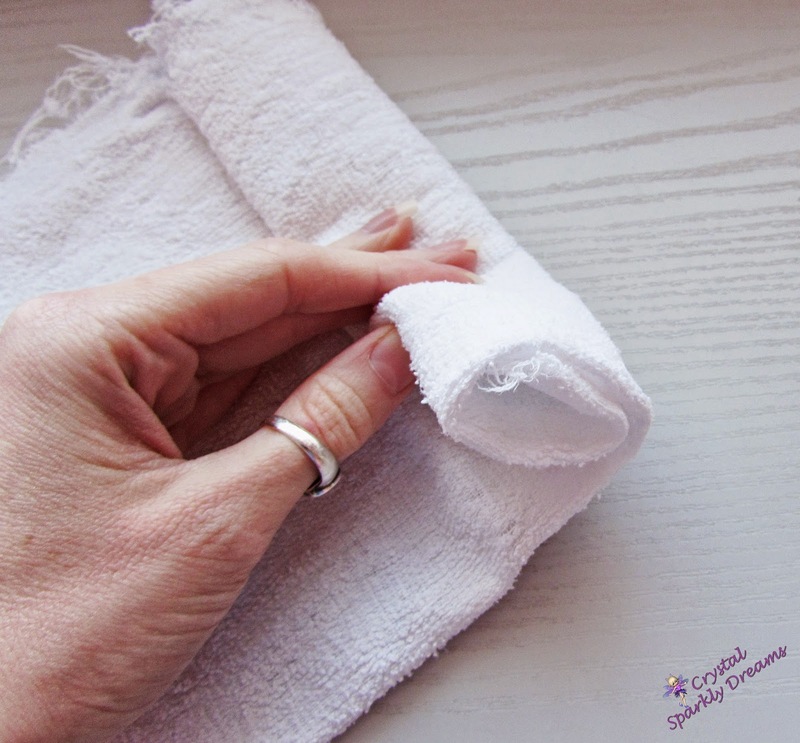 Then just dab it off with a piece of clean tissue and allow it to dry, easy! 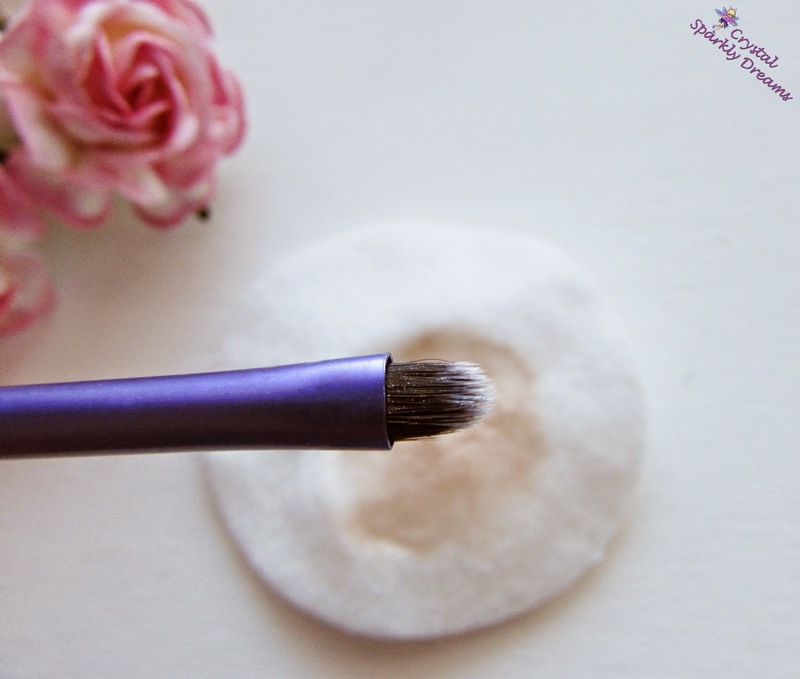 The third technique was an idea I had after seeing a video by the lovely Goss (gossmakeupartist) on YouTube last year, about an alternative to the Vera Mona Colour Switch brush cleaner sponges, wow mouthful! 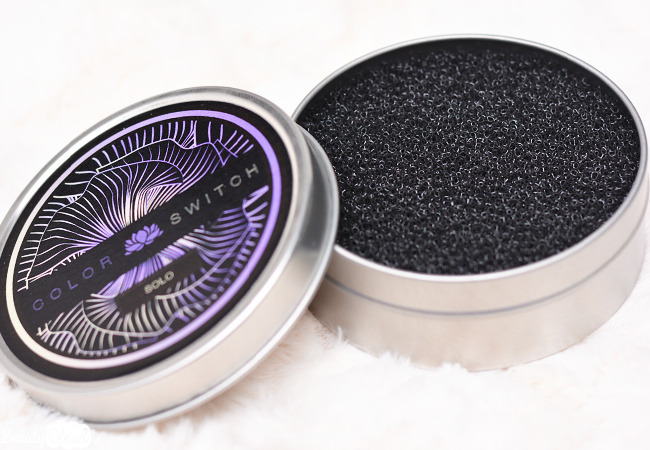 These great sponges come in a little tin and basically all you do is rub the brush around the sponge for a few seconds and it takes off all the old makeup! 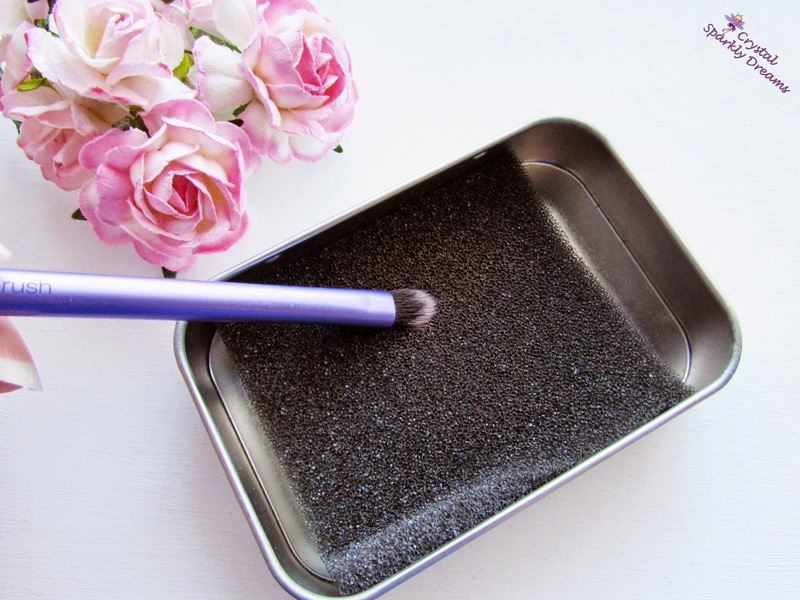 But, of course there's a price tag and this method doesn't sanitize your brushes, it only cleans off the makeup for when you may want to use the same brush for various eyeshadow shades for instance, and you need the brush clean quickly without having to wash or spray it in between. 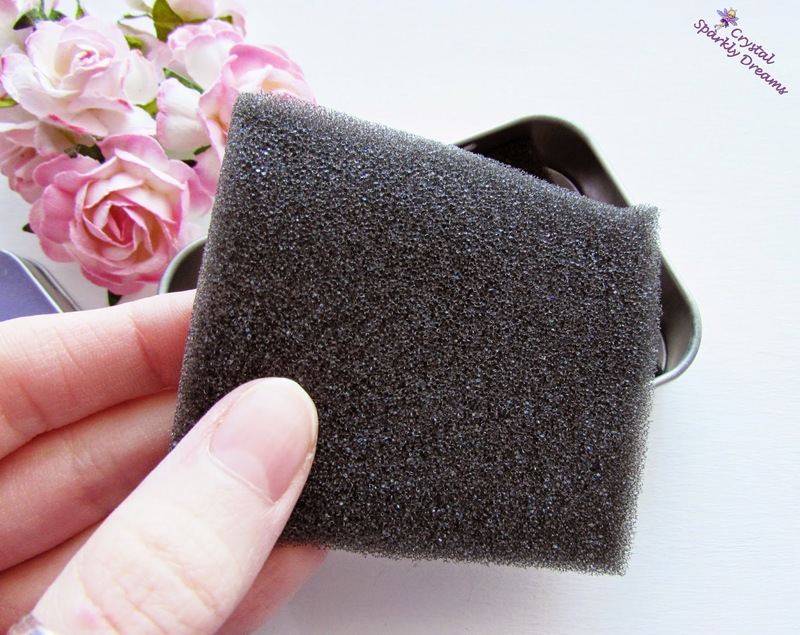 So, for my own 'quick clean' technique, I use these black stippling sponges, I got a pack of two for only £1.53 from Amazon and I keep one in a tin for ease of use. 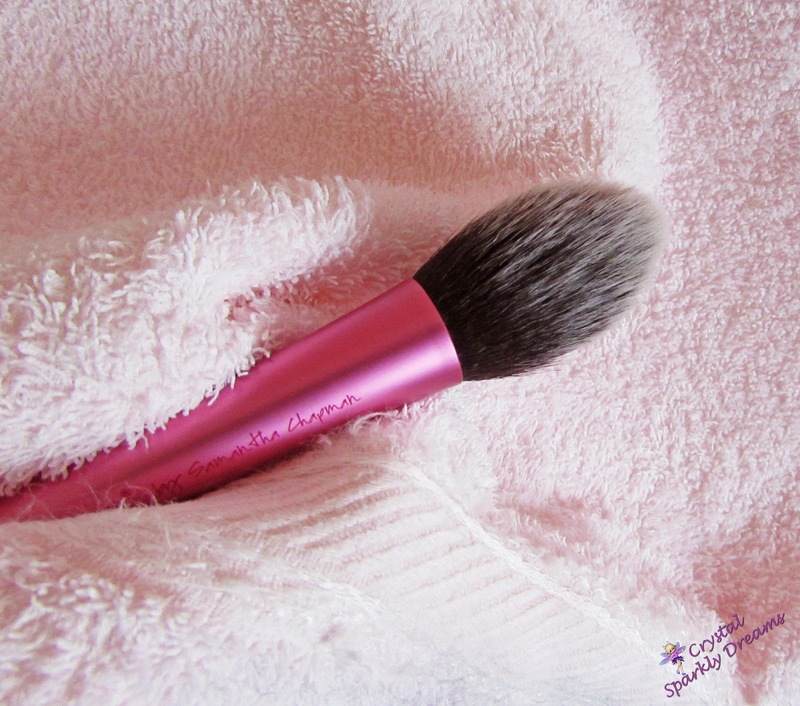 I swirl the brush around the sponge and voila, clean brush! 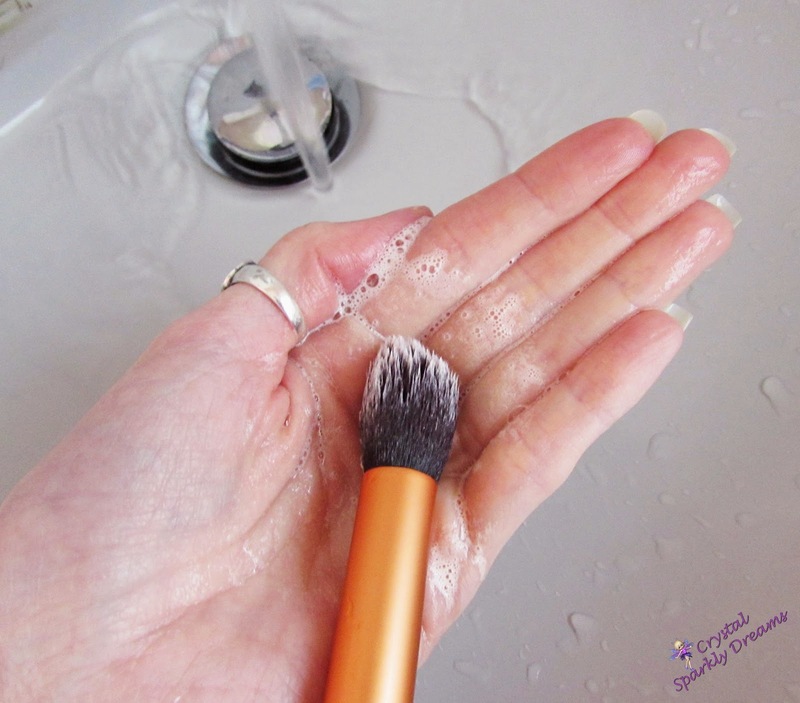 After a few uses, I turn the sponge over for more uses and then every-so-often I just wash them with shampoo and rinse when I 'big clean' my brushes, to keep them nice and fresh :-) If you'd like to see this method in action, go and check out this cool video here showing how it's done.